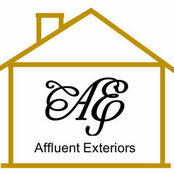 Affluent Exteriors serves as the premier specialist in designer roofing & exterior services, maintenance, repair, restoration, and construction. We cater our services to high-end, luxury residential property owners, builders, realtors, and all commercial property types. As the industry leader, our clients expect and demand the best and we strive to consistently exceed their expectations by delivering the highest level of professionalism and expertise.